Pre-season gets underway as the team from Bandung embarked on a training tour to Batam. Despite notching a morale boasting 2-1 win over Batam in a friendly on Thursday, 11 Jan 2018, head coach Mario Gomez is less than satisfied and emphasizes patience is the key to greater success this season. According to coach Gomez, patience is required for the team to bounce back to glory. The 13th placing finish from the last season is not something to be proud of and coach vows to improve on that. 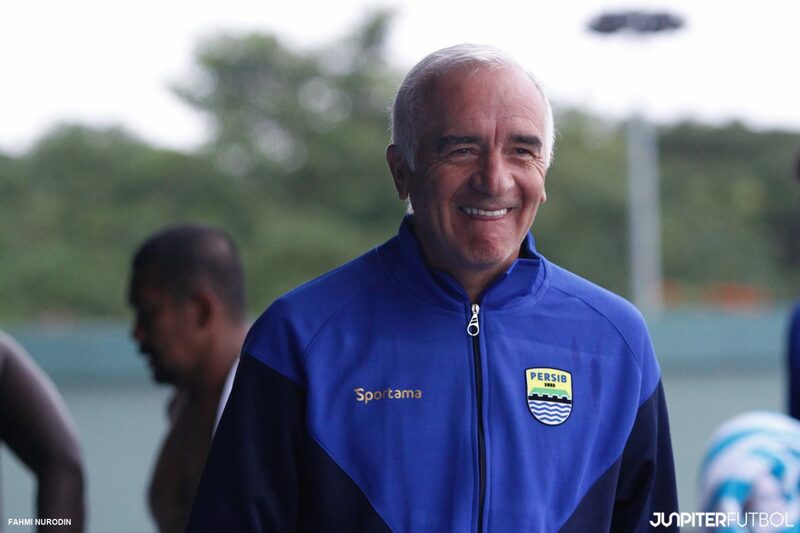 Asian football, particularly Southeast Asian football is not new to Coach Gomez. Having experienced the cosmopolitan style of football in the Hong Kong Premier League and also the Malaysian league where he won the Super League title and AFC Cup with Johor Darul Ta’zim (JDT), Coach Gomez is aware of the high expectation set by the Persib’s fans, also famously known as the Bobotoh, for this brand new season. “Similar to European teams, I am aware that the fans here have high expectation on the team to perform well. However, all these really take time. This is a league and a league lasts one full season till the end of the year. We really have to take one game at a time and improve from there on,” said Gomez. “Indonesian football is fast and aggressive. Liga has 18 teams and every single team is strong. There is no easy game in Liga. To do better than last season, we really have to work extremely hard,” added Gomez. Persib Bandung is one of the world’s most supported clubs with approximately 9.5 millions supporters on Facebook. The Blue Tigers last won the Liga (formerly known as Super League) in 2014. Their best finish at Asian level is their quarterfinal finish in 1995 at AFC Champions League (formerly known as Asian Club Championship). The team finished in the 13th position last season.